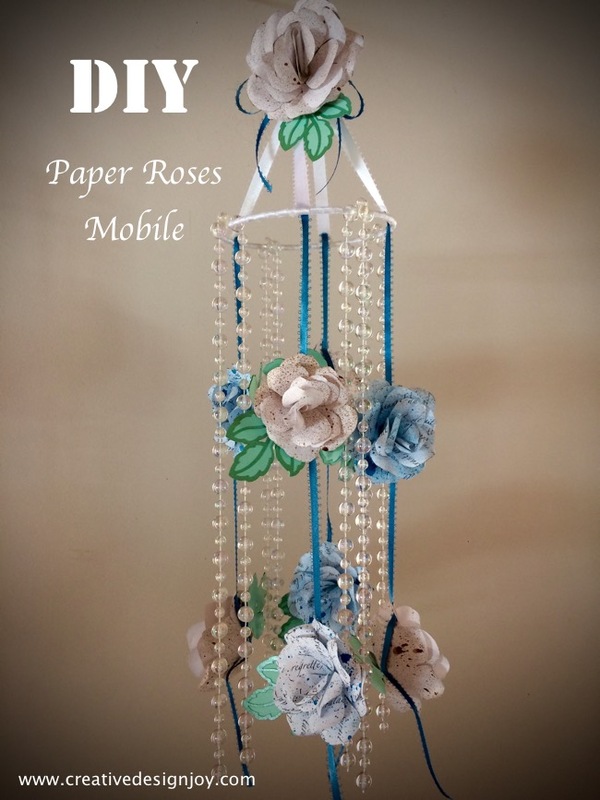 This paper roses mobile is a sample project that you can do with paper roses. 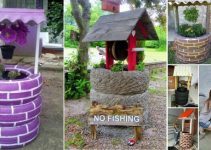 It’s inexpensive and easy to do DIY project. 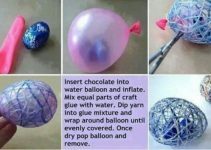 You can use scrapbook paper, parchment paper or even a copy paper. 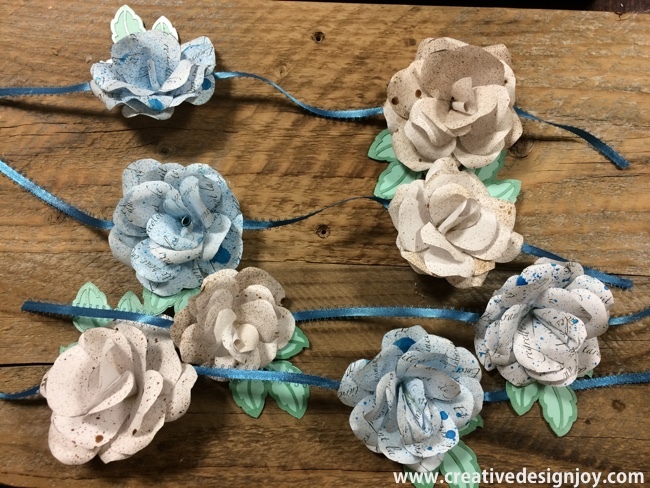 The roses I used in this project is made out of copy paper. I printed out a rose pattern and sprayed it with Lindy Stamp Gang starburst spray. Leaves are optional. You can add them if you would like. The leaves I used are cut with my circuit explore air machine. 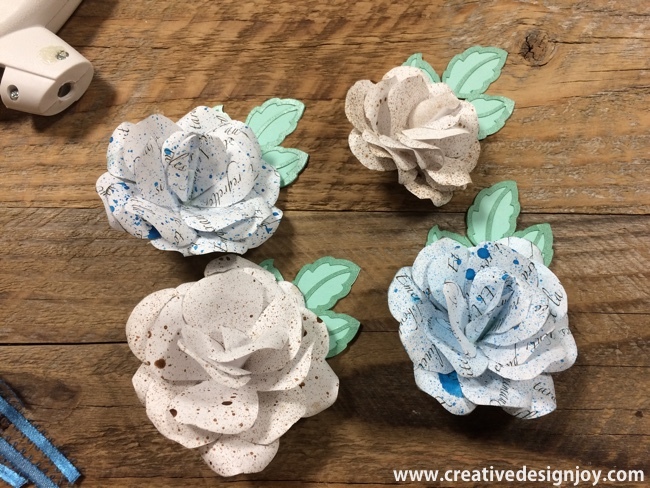 We have a separate tutorial page on how to make these paper roses. Step 1: Cover the metal ring with ribbon. 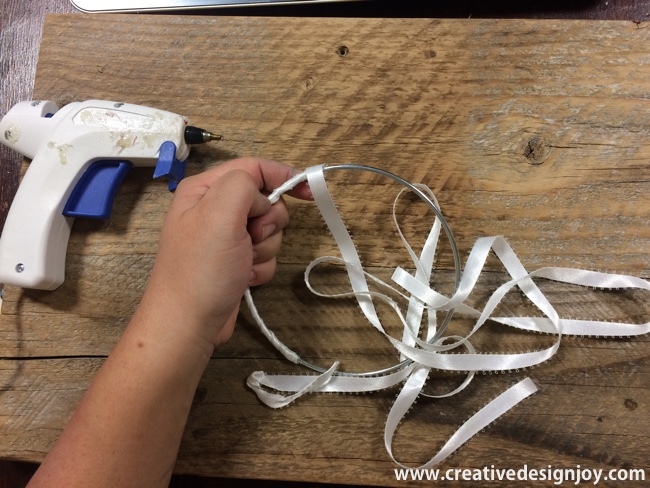 Use a glue gun to secure the ribbon on the metal ring. 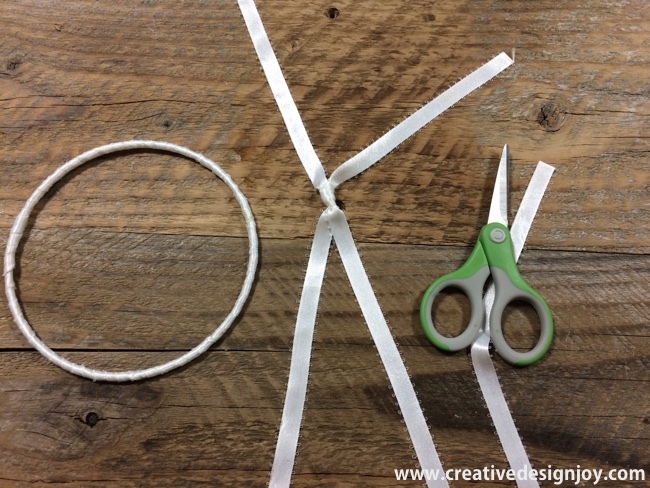 Step 2: Once your metal ring is covered, you can add the ribbon that will hold your ring for hanging. This is how it should look. 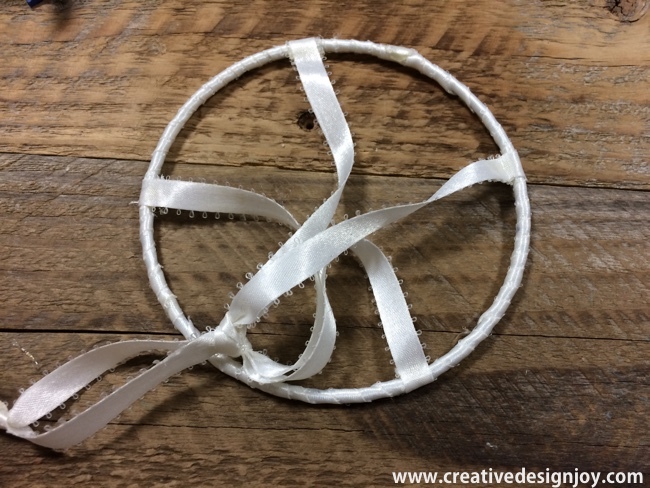 Secure four sides of the ribbon with a glue. Tying it on four sides will allow the ring to hang like a mobile. Add the tie at the very end. Step 3: Cut 4 strands of bead garlands, about 30 inches long per strand. Fold each strand in half and glue them on the ring. Make sure you glue all four strands in an equal distance. Note: If you want to add leaves on your roses. 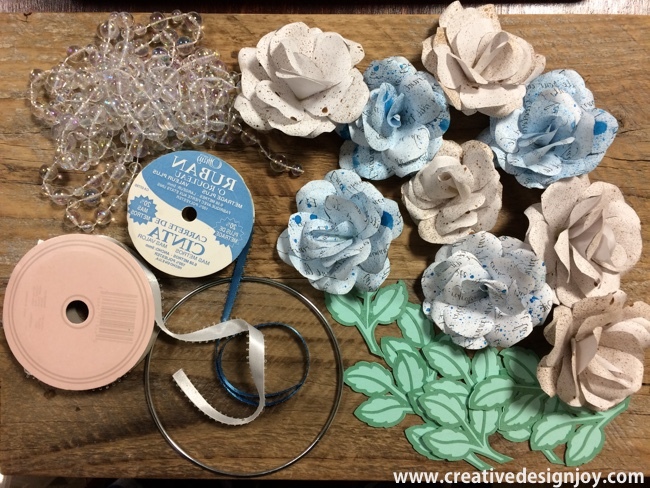 Glue the leaves on the back of your roses before gluing it on the ribbon. Step 4: Cut ribbon into 4 equal length, about 17 inches. Glue your 2 paper Roses on each ribbon strand, about 5 – 6 inches apart. 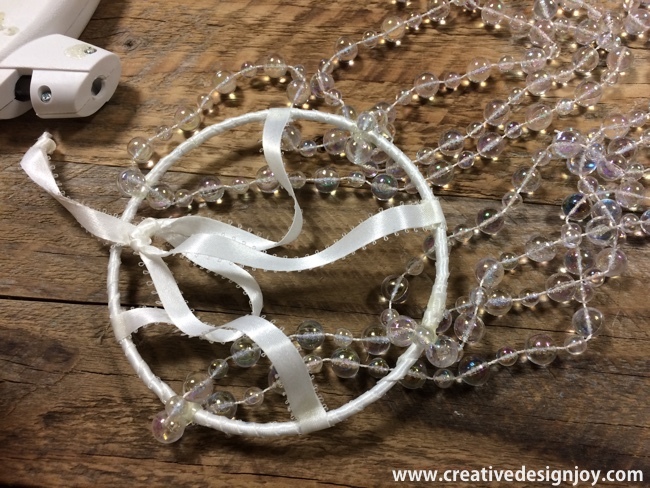 Last step: Glue the strands of ribbon in between the bead garlands and glue the last paper rose on the top of your mobile. Your mobile is ready. This mobile is perfect for girls bedroom decor. 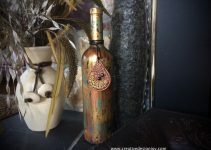 Be creative, use different colors and add more embellishments.